While Otay Mesa still has about 2 million square feet of industrial vacancy, the market looks healthier now than during the recession’s peak, when there were 3 million empty square feet . According to a first quarter report compiled by Erik Parker, a CBRE (NYSE: CBG) vice president, Otay Mesa has shaved 5 percentage points off its direct vacancy rate during the past 24 months to 13.2 percent at March 31, as the economy has improved. A 0.3 percent total in sublease space brings Otay Mesa’s overall industrial vacancy to 13.5 percent, so the submarket still has a ways to go before most of the space is filled. Not every report agrees with CBRE’s assessment. A first-quarter CoStar Group (Nasdaq: CSGP) report concluded that Otay Mesa had an overall industrial vacancy of 14.7 percent as of the end of March. A Colliers International study said Otay Mesa ended the first quarter at 13.8 percent direct industrial vacancy plus 0.8 percent of sublease space, for an overall vacancy of 14.6 percent. Regardless of the survey, there is plenty of space to fill. A CoStar group report stated Otay Mesa had about 2.18 million square feet of direct vacant space as of the first quarter’s end, and 2.24 million square feet of overall vacancy, putting it higher than CBRE’s 2 million figure. CoStar reported Otay Mesa had 161,317 square feet of net industrial absorption in the first quarter. The figure was 176,967 by CBRE’s accounting. Both suggest interest is picking up, as does Colliers International, which tallied 193,147 square feet of net leasing. “It feels like things are getting a little better,” Parker said, adding that the strength that was seen in the central part of the county during the past 12 to 18 months is finally making its way south. The top lease that Parker identified in Otay Mesa was that of a 35-cent-per-square-foot transaction for 84,551 square feet at 1462 Corporate Center Drive for 78 months. The lessee is AV Trucking; the landlord is Morgan Stanley (NYSE: MS). Parker said what is remarkable about that property in the Ocean View Corporate Center is that out of the 660,000-square-foot complex, only 10,000 square feet remains available for lease — even following the recession. “By my estimate during the last 18 to 24 months, nearly 330,000 square feet has been leased in that one property alone,” Parker said. A Colliers International report said along with AV Trucking’s lease, five other Otay Mesa properties had tenants occupying more than 20,000 square feet for the quarter. Darren Mullins, a Cassidy Turley senior vice president, said while the leasing activity in Otay Mesa still is not as strong as he would like, if someone wants to purchase an industrial building between 20,000 and 40,000 square feet, they could be out of luck. Mullins said at a time when industrial rents in Otay Mesa have been flat, industrial buildings are selling for 10 to 20 percent more than in spring 2013. 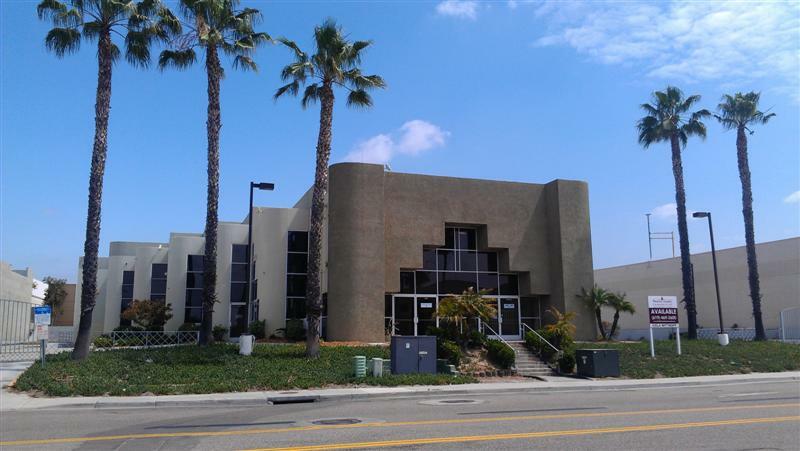 One approximately 24,048 square foot building in Otay Mesa, at 10030 Via de la Amistad on about 1.08 acres was sold for $1.55 million cash on March 31st to Advanced Mechtronics The price works out to $64.45 per square foot. The Advanced Mechtronics property, which had been owned by Synergy Trust, was built in 1995 and is nearly 60 percent improved with office space. Synergy Trust was represented by Icela Galaz-Wittkopp and Lee Suryani with Pacific Coast Commercial. The Buyer, AMS Enterprises, LLC, was represented by Ryan Spradling with Cassidy Turley . The average industrial lease rate in the Otay Mesa market was unchanged at 48 cents per square foot triple net from the fourth quarter of 2013 to the first quarter, according to CBRE. CoStar placed the average industrial lease rate on Otay Mesa at a slightly higher rate than CBRE at 50 cents per square foot. Lease rates are still low, but with a current floor of plus or minus 35 cents, depending on the survey, this is a notable improvement from 25 cents per square foot for some rates during the worst of the recession. The Otay Mesa numbers come as the finishing touches are being put on the Otay Mesa Community Plan update. Although zoning could eventually allow millions of square feet for additional industrial use in the unincorporated portions of Otay Mesa, Mullins has said the focus now is filling what exists within the city of San Diego. Along with a proposal to build out its light and heavy industrial properties, Otay Mesa’s community plan also calls for nearly 6,000 additional housing units. This entry was posted in Uncategorized and tagged Building Sale, Commercial Real Estate, CRE, Industrial, Otay Mesa. Bookmark the permalink.